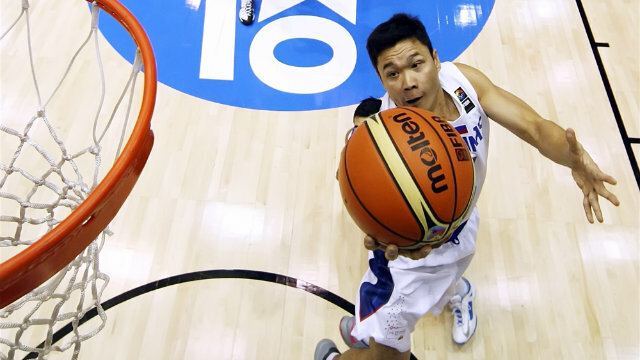 MANILA, Philippines – Gilas Pilipinas Men’s National Basketball Team wrapped-up their 2015 William Jones Cup campaign by dominating Chinese Taipei Team B, 96-67 and bagged the silver medal on Sunday, September 6, 2015 at Xinchuang Gymnasium in Taipei. Looked like the Gilas Pilipinas took Chinese Taipei Team B lightly. Believe or not, the host team outscored Team Pilipinas early in the opening period with a 7-0 scoring blitz. But, Calvin “The Beast” Abueva came to the rescue for Coach Tab Baldwin as he showed finesse ball handling and shooting to catch-up with Taipei B. The 6’2” guard even broke the ankles of his defender with a nasty cross-over but shocked the entire team as he fell flat on his back after driving to the basket and got fouled hard. Abueva remained on the floor for few minutes as Coach Baldwin and the rest of Gilas coaching staff approached the fallen beast and took him out of the floor for further medical evaluation. The Nationals was reminded that a win against Taipei B will seal the deal with silver medal, second to Iran who finished with an almost immaculate record of 7-1. Gilas pulled quite few defensive stops as they ended the 1st quarter with a 3-point lead, 24-21. Coach Baldwin started the 2nd period with the newcomers on floor led by back-up center Moala Tautuaa mixed with a lone veteran Gary David. The boys went too fancy offensively and were merely looking for highlight plays but still pretty effective as they made their first double-digit lead 33-23 with over 6 minutes remaining in the first half. In just a blink of an eye, Gilas doubled its lead with 2 more minutes remaining before the half time break, 45-25 courtesy of Jason William-Castro, Ranidel de Ocampo and JC Intal. Chinese Taipei somewhat inched their gap with few fast break plays and a Hail Mary 3-pointer to close the half, 50-32. Gray “El Granada” David started the 3rd period hot with 5 consecutive points in less than a minute. Ranidel de Ocampo joined David in shooting spree with his own version of a trey in the middle. Today was the day of atonement for Gary David as he compensated his subpar performances in this tournament. David had 14 points in 3rd quarter alone and 18 markers in total. The taller and Chinese Taipei Team B could not see any opening inside the shaded lane and settled for outside shots instead which luckily went in. The problem was: every time they drained a three-pointer, Gilas had answer for it. Coach Baldwin saw his second unit enjoying the game and at the same time gaining confidence and experience. Gilas second-five brought the house down with spectacular plays and posted a very comfortable lead of 29 points, 82-53 after 30 minutes of basketball. 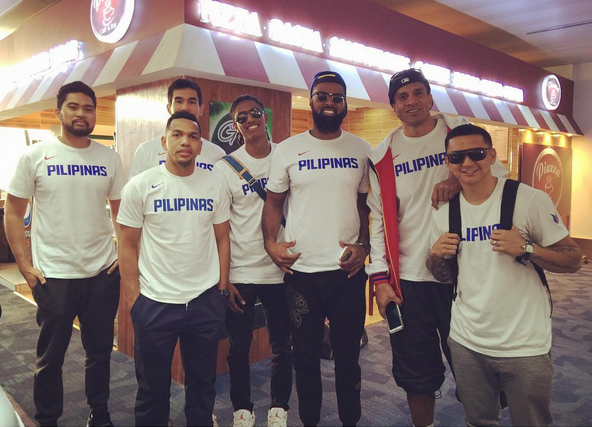 There is no doubt that even Gilas’ second unit is way better than the entire Taiwan B. But too much confidence seems to be the Nationals’ weakness when facing a lighter opponent. From as high as 31 points early in the final quarter, the host team managed to brought the lead down to 22. Coach Baldwin looked so unhappy despite of his team’s double-digit lead and immediately called a timeout to remind his team not to be complacent and finish the game gallantly. After a very lax 4th period start, the Gilas squad hold on to their humongous lead of 29 96 – 67 and sent Chinese Taipei Team B winless in this tournament.